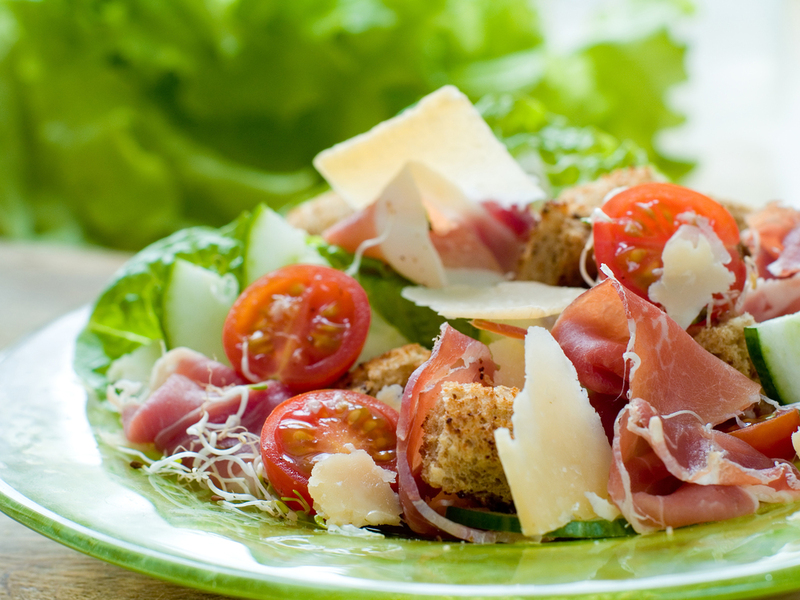 Get this delicious and easy-to-follow Prosciutto and Arugula Salad recipe at Haute Farms. For the salad, first make your dressing. Whisk together the balsamic vinegar, olive oil, dijon mustard, salt, and pepper. Toss the arugula in the dressing to evenly coat it, and place a pile on each plate. Top each salad with half the tomatoes, half the shaved Parmesean, half the prosciutto, and a small pile of pickled onions. Serve immediately.